Knox Presbyterian women is a community of women who encourage one another in their Christian journey through Bible study, fellowship, service to the church, community and the world. It is a part of the larger PW organization comprised of over 200,000 women within the Presbyterian Church USA. Knox women participate in Bible study groups, circles, mission events, social occasions, and spiritual retreats. If you want to grow in your faith, then join a community of caring women. Knox PW circles usually meet one per month or at regular intervals selected by members. These ladies nourish their faith, build relationships, work on mission projects, perhaps do a Bible study or experience an inspirational program, and pray together. We invite you to forge life-long friends and connect with your church family on a personal level. We have a circle for every woman, no matter your stage of life. Deborah Circle: This is a group of active women, ages 60+ who gather for food, fellowship, Bible study, and missions. You will find them wise and supportive. They love visitors and new members. Email Ann Beran Jones. Mary/Martha Circle: Mary Martha Circle contains women of all ages and interests who come together to enjoy brunch, fellowship, inspirational programs, prayer, and missions. They meet in homes at 9:30 a.m. on the 2nd Tuesday of each month from September through May. Email Sue Burns. Mom to Mom: A mother’s role is as diverse as it is rewarding, frustrating, and challenging. Join this group designed to spiritually and personally support moms of all ages – working and non-working. You will laugh and lament together. Sometimes there will be speakers and sometimes there will be topical discussions. You will find life-long friends in this group who will help you navigate this thing called motherhood. This group meets the second or third Monday each month (Check Knox Website) 6:30 p.m. at the church. Childcare is provided via reservations. Email Linda Adcock or register HERE. Not Your Mother’s Circle: This group support one another’s spiritual journeys, promotes long-lasting friendships, and serves God’s purpose wherever there is a need. The group will decide its meeting times and activities. It will be an diverse group of women with varied interests, of all ages, in the work force or not, etc. Email: Diana Newby or Linda Adcock. Rachel-Rebekah Circle: All women are invited to join in this circle of fellowship and Bible study each month. The Circle meets in homes at 9:30 a.m. on the 2nd Tuesday of each month from September through May. They also participate in mission projects the group selects and in the Gatherings, special Mission events, and the Women's Retreat of the Presbyterian Women of Knox. Email: Julie McLean, or Eileen Engstrom. Ruth Circle: Ruth is an eclectic group of moms, wives, working women, single women, young and not so young (!) women who find gathering during the day difficult. They focus on fellowship, support of one another, devotionals, and missions within Knox Church. Everyone fits in and feels comfortable from the minute they arrive. Please find your place in their group. They meet the 3rd Thursday of the month at Knox in the Parlor at 7:00 P.M. Email: Bev Mayer or call 630-615-4325. Whether you are a mom with young children or school-aged children, whether you are single, retired or somewhere in-between, Women On Wednesdays wants you...and your friends and neighbors! This program is a Bible study for women, with childcare and activities for infants through Kindergarten. WOW meets from 9:15 - 11:15 am with fellowship and refreshments, followed by large and small group discussions, DVD presentations and prayer. Cost is $25 for an individual or $40 if you are bringing one or more children. More details on their current bible study can be found here. We are excited to invite you to consider being part of a new small group at Knox Church! It is an 7-week nurturing experience for single mothers entitled Hearts of Hope. Hearts of Hope will meet on Wednesdays nights from 6:30 - 8:30 pm Jan 9 through Feb 20, 2019. It includes dinner, fellowship and a Bible study entitled "Finding You Again." We are single or formerly single moms who are seeking to encourage single women with children by sharing a meal, studying scripture, and learning together. We will prepare and provide dinner for you in one of our homes. We hope this will be a special night out for you. Remembering the demands of being young single mothers ourselves, we want to serve you and encourage you through God's word and Christian fellowship. On the last week we will have a Celebration Night just for fun. If you are interested in becoming part of this program, feel free to call Rev. Deb at 630-615-4306 or Karen Van Iten at 630-355-0284 or email with any questions you have. to participate in an phenomenal nurturing experience called Apples of Gold. This small group will share a meal, study scripture, and learn together. Remembering the demands of being busy mothers themselves, they want to serve and encourage the group through God’s word and Christian fellowship. The last meeting will be a celebration and include husbands. Prayerfully consider being part of this meaningful program. One of the leaders will call after Thanksgiving to personally extend an invitation to participate. Feel free to call them with any questions you have. Calling all women to join us at beautiful LaSalle Manor, 12480 Galena Rd in Plano IL on the weekend of May 17, 2019. Meditate at the water’s edge, walk the Labyrinth, make new friends, strengthen old ties, join in crafts, rest, shop in their gift shop, and enjoy scrumptious meals! Cost is $175; financial scholarships are available. Registration will open in spring, 2019. Downstairs at Knox in the comfy Senior High Lounge. Last month we saw a true depiction of legal maneuvering. This month, we take a look at a comedic turn of legal events with Katherine Hepburn and Spencer Tracy going head-to-head to defend Judy Holiday in the 1949 movie that earned 100% on Rotten Tomatoes. And, yes, ribs will be served for dinner! We are looking forward to our 3rd Garden Walk tour June 29 2019 (June 30 - rain date). If you are interested in having your garden be a part of this wonderful event, email Nancy Witmer. Hanging baskets or Premium Combo Pots are our most popular Mother’s Day gift! Or, pick out assorted flowers to plant for yourself, mother, wife or loved ones. Talk to anyone who has ordered and find out how beautiful and durable these flowers are. Flowers are grown in a Michigan Greenhouse and they offer us a great fundraising price. Extras will also be available for cash and carry on May 9! New this year, tomatoes and peppers! Please tell your friends and neighbors - they won’t be disappointed! Email Dee Dee Porter with questions or call 630-416-8072. Proceeds go to PW Missions. Beautiful hand-made treasures and delicious treats are offered every other year as a major fall event. If you want to be a part of this event or donate crafts or treats, contact Carolyn Lorenz. Calling all Ladies of Knox! Mark your calendars now for Friday, February 1, 2019 from 6:00 p.m. - 8:00 p.m. (Childcare will be available). Please bring an appetizer or dessert to share. Sign-ups will take place in January & online. Program to be announced. Contact Sue Burns. Let’s Celebrate!!! 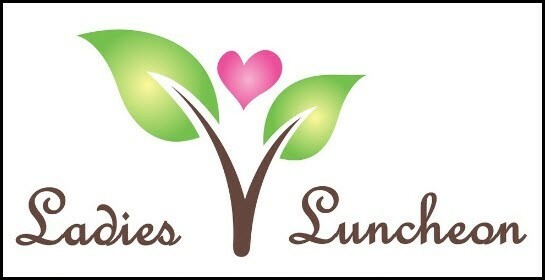 Join us for lunch and a wonderful program on May 1, 2019. 10:30. Installation of incoming Board members and Circle Leaders – 11:00 – Lunch followed by the program. Register here or Contact Sue Lauzen.